The first test Eclipse 500 aircraft made its maiden flight in August 2002, with Williams EJ22 engines. In November 2002, Eclipse Aviation decided to replace the engines and aircraft were equipped with Pratt & Whitney Canada PWC 610F-A engines. The first flight with the new engines was on 31 December 2004. 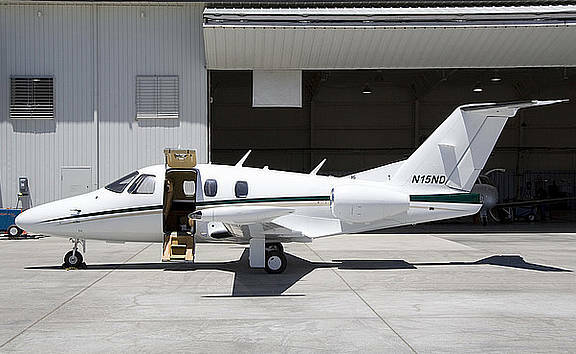 The Eclipse 500 was FAA certified on 30 September 2006, and the first customer was delivered early JKanuary 2007. VSO 67 KIAS Stall, in landing conf.